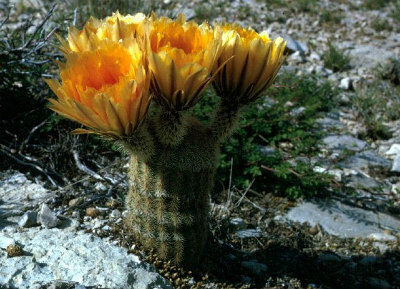 Native to Arizona, New Mexico and Texas. Easily recognized by it's subtle rings or bands of contrasting colors along the stem of the plant. Usually found with a single stem or 2-3 basal branches. The spines usually overlap making the stem not visible.The E. dasyacanthus received its specific epithet from the two Greek words dasys and akantha, which mean "shaggy" and "thorns" respectively.